As the PC market continues to decline, ARM is proving that non x86 chips are cool and have a long and prosperous future. Intel has said it is watching closely its "biggest competitor", the semi-conductor firm ARM, which holds almost 95% of the burgeoning smartphone segment. Dylan Larson, ‎director for Intel’s Xeon product marketing, made the comments during a workshop in Intel's Hillsboro campus in Oregon. There have been speculations that Apple could replace Intel chips with those made around ARM architecture in its Mac devices from 2016 onwards. The company already uses ARM architecture in its processors for iPhones and iPads. Intel has been used in Apple’s Mac devices since 2006. The rumours were sparked by a blog from former Apple executive Jean-Louis Gassee in which he said: “When Apple announced its 64-bit A7 processor, I dismissed the speculation that this could lead to a switch away from Intel chips for the Macintosh line for a homegrown 'desktop-class' chip. I might have been wrong." It is estimated that ARM-based chips are found in every six of ten mobile devices in the world. ARM technology is often cheaper and more power efficient. While ARM dominates the smartphone and mobile device market share, it holds only 5% of the server, personal computing and high-performance computing market that Intel dominates. Intel could face tougher challenges from ARM as the PC market continues to diminish, analysts said. “Intel became complacent when AMD stopped innovating and acting as competition,” said Nebojsa Novakovic, a Singapore-based consultant at Computational Resource Centre. “ARM is its biggest competitor,” he said. However, some analysts believe Intel’s processor technology is more advanced than ARM’s architecture. “You get more peak performance per thread on Intel than on ARM-based chips," said Novakovic. “ARM-based architecture is more suited for mobile devices and connected devices such as the refrigerators and the washing machines." But Intel thought that if it built extremely high-end high-compute power processors first, it can scale it down to suit the mobile devices needs. “But ARM proved that strategy completely wrong by starting ground up,” said Novakovic. 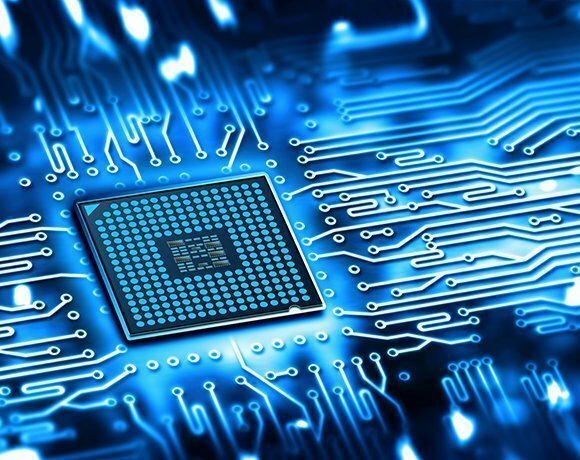 “There is a growing market for low-power CPU architecture and that’s where ARM is winning and that will be Intel’s biggest threat,” said technology blogger Scott Wasson. But analysts said Intel is investing in Haswell 22nm (nanometer) process and Broadwell 14nm process – both designed to optimise the power savings and performance benefits. Intel has segregated its business into several groups, including the PC client, the datacentre group, internet of things (IOT) services, mobile and communication group and the software services group. Of these groups, its IoT and datacentre services groups reported the maximum growth in Intel’s latest quarterly earnings report. But during the same quarter, its mobile and communications division reported a net revenue of $51m as against last year’s $292m. Meanwhile, ARM’s second-quarter revenue, ending in June 2014, was up 17% year on year and its processor licensing revenue was up 42% year on year. A total of 2.7 billion ARM-based chips were shipped, the company said. ARM has also been working with Intel rival AMD to deliver system on a chip (SoC) processors designed for a new generation of servers. These new servers aim to tackle the biggest problem facing today's datacentres – that of power and cooling. They take a radical approach, replacing the x86-compatible processors with a 64-bit derivative of the ARM chip that runs inside mobile phones. “ARM has some bright people working for it and they are capable of innovating, but Intel has invested years in research and innovation,” said Billy Cox, Intel’s general manager for the software development division. AMD has said that, by the fourth quarter of 2014, ARM-powered servers will start shipping. Market analysts expect that ARM processors will account for 20% of server units shipped by 2019. “In the server space, Intel is at least two years ahead than others. But it faces threat in the mobile segment,” Wasson said. Intel's Larson said the chipmaker needs to do more in the mobile devices segment to increase its foothold as IOT gathers momentum. “We are already doing that - five years ago we were more server-focused. Today we take a holistic approach,” Larson said.